What's your favorite dinosaur/prehistoric critter? I'm a big fan of dromaeosaurs. But I think Yi qi might be my absolute favorite, just because it's so weird! Re: What's your favorite dinosaur/prehistoric critter? Cool news: Brontosaurus might actually get reinstated as a proper species! Sauropods and other plant-eating dinosaurs got so big, I can't even imagine interacting with a living thing that size. Always thought pterodactyls were pretty fun! FLYING DINO GO! Raptors are pretty cool, also megalodons and liopleurodons, even though giant sea monsters scare the heck outta me. 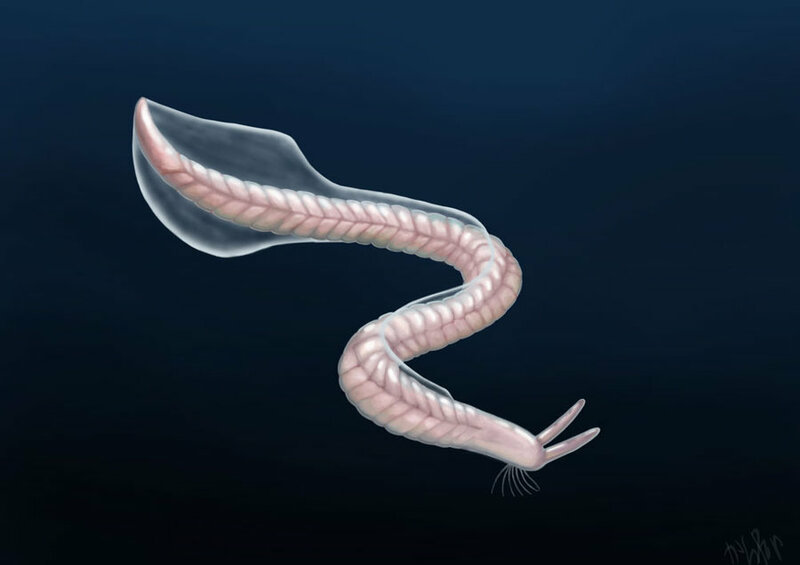 It actually predates the Birbosaur by several hundred million years, but I've always been partial to Opabinia. I was lucky enough to see the iconic fossil in person totally by accident (we went into the museum to kill some time), they've always been my favourite since I was a kid. I was a big Walking with Dinosaurs fan and taped them all off the telly. Plesiosaurs, along with all the other marine dinosaurs. Way back when I believed in the Loch Ness monster I was convinced it was a plesiosaur. Oh man, so many! It's hard to choose. I was really obsessed with dinosaurs as a kid - I haven't kept up as well as I'd like, but I still read all the latest news and head straight for the dinosaur hall in any natural history museum. Deinonychus, Parasaurolophus, and Stegosaurus are all solid candidates, but I've been partial to Tyrannosaurus rex ever since I saw the opening of the Sue exhibit at the Field Museum as a kid. Mine was probably Baby Sinclair, with the cheesy catch phrase, "Not the mama". but the mother-in-law was great too. I was never very big on dinosaurs, but prehistoric invertebrates are pretty awesome. I like the cynognathus! I got really attached to them as a kid for some reason, after seeing a really nice illustration of one in a book. Not this one, but similar. low-key arrives 15 minutes late to this thread with starbucks because i saw "dinosaurs" and i love me these giant reptiles... birbs... reptile-birbs. as a kid, my favorite dinosaur was, hands down, the mayasaurus (i had this book i'd borrow constantly from the library, to the point i may as well have owned it). nowadays, i love the deinonychus and the t-rex, especially now that they're starting to think they let out this horribly low rumbling sound instead of roaring (even though the jurassic park t-rex roar is one of my favorite pieces of sound design). it's incredibly unsettling and i LOVE IT. i have a big soft spot for brontosaurus, though.